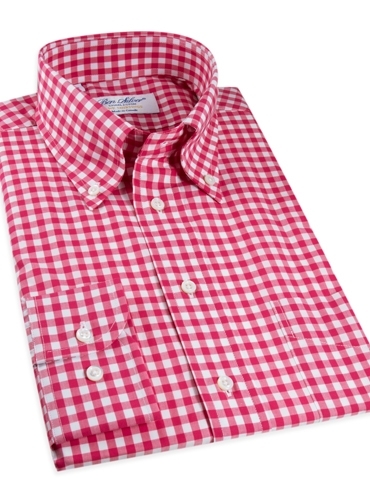 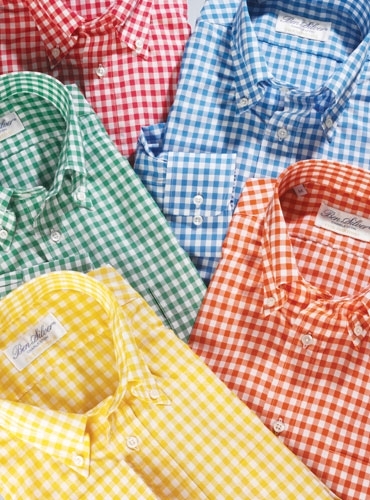 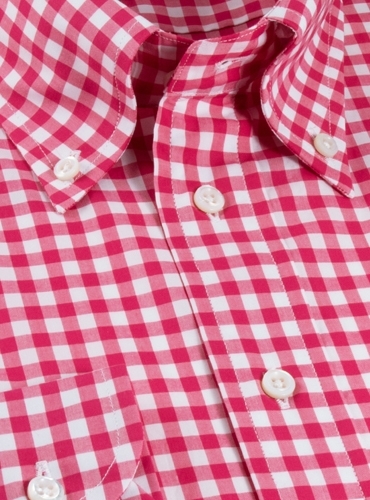 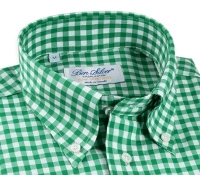 Gingham check shirts are always in style, and we have selected a vibrant group that will allow you to welcome the season in color and comfort. 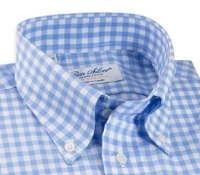 Each shirt is cut in 2-ply 120's thread count Italian woven cotton, and in a comfortable gentleman’s cut, with our renowned button down collar, with its perfect collar roll. 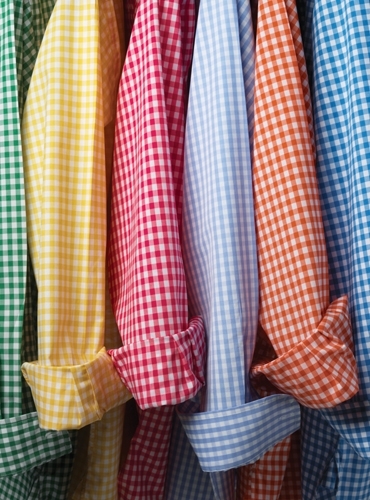 Shown here in strawberry, but also available in A-green; B-blue; D-orange; E-yellow; G-light blue. 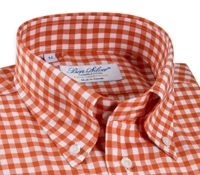 Sized M-XXL.